We at Battery Equaliser USA, LLC feel that your personal privacy is of the utmost importance. Customer personal, billing, email addresses and phone number will be used in the course of processing merchandise orders only. This information submitted by the customer will only be used internally and will not be shared with any person or organizations except vendor warehouse and the common carrier consigned to deliver the merchandise. All credit card and personal information collected by Battery Equaliser USA, LLC is used only to aid in processing orders and customer service. Credit card information collected during the ordering process is encrypted before it is passed to our payment gateway and is not compilee or storee on our website. Any hard copies of sales documents and credit data are shredded on a regular basis. 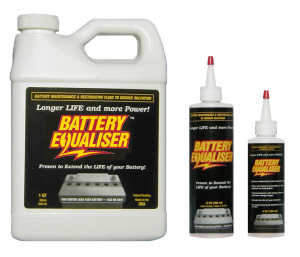 Battery Equaliser began doing business on the Internet in 1997 and we have never had a breach of our customer’s personal security. Errors, Omissions, Typographical, photographic, pricing, and editing errors on the website are unintentional and we reserve the right to correct them. If you would like to read our terms and conditions for website usage in entirety please contact us at 888-851-4431. If your merchandise is damaged in transit, please notify us immediately by calling 888-851-4431. Save the merchandise and original packaging so that we can arrange for a pick-up and replacement. Please save the box and packaging your order was received in and notify us immediately by calling 888-851-4431. We will promptly make the arrangements to send you a replacement and, if necessary, arrange a return pickup. If you would like to cancel or make a change to your order, please call us at 888.851-4431. In order to be eligible for cancellation you must talk with a representative during normal business hours, and the order must not have been issued a tracking number. Once a tracking number has been issued for an order it will be subject to the normal return policy requirements and is not eligible for cancellation. While we will try to cancel an order if informed by email and voice messages, if the order has already been issued a tracking number by the time your email or voice message has been processed, it will not be eligible for cancellation, and the order will be subject to the normal return policy requirements. Please keep in mind that our order fulfillment system is designed to ship orders same day if possible. Therefore, changes can not be able to be made once an order has shipped from our warehouse, and full charges will apply. Upon approval you may return unopened items sold by Battery Equaliser USA, LLC within 30 days of the purchase date for a refund minus shipping and handling and any applicable fees. Items should be returned in their original product packaging. We will pay the return shipping costs if the return is a result of our error. You should expect to receive your refund within 20 days of giving your package to the return shipper. This time period includes the transit time for us to receive your return from the shipper (5 to 10 business days), the time it takes us to process your return once we receive it (2 to 3 business days), and the time it takes your bank or credit card company to process our refund request (1 to 7 business days). If you paid by check we will refund your money in the form of a company check.